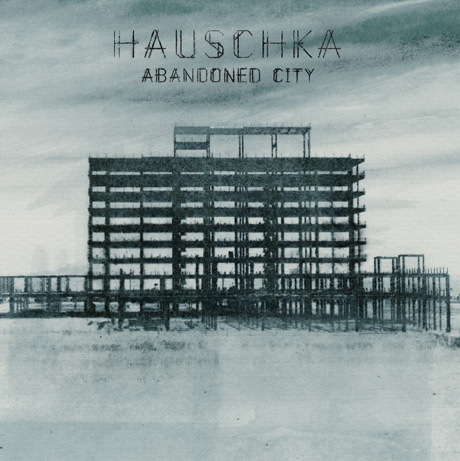 Experimental composer Hauschka (a.k.a. German pianist Volker Bertelmann) has announced he'll be releasing his first solo LP since 2011 through new label home City Slang next year. His Abandoned City arrives through the imprint March 17. UPDATE: The album will arrive in North America on March 18 via Temporary Residence. A press release notes that the set was recorded at Hauschka's home studio shortly after the birth of his first son. Save for "Elizabeth Bay," a track inspired and based upon Richard Wagner's "Flying Dutchman," the song cycle was composed and recorded over a 10-day period. According to the press release, the set manages to "awaken the loneliness and unattainable romance of timeless, unfamiliar places," apparently through the use of "bright cheerful keyboard patterns and dark percussive touches." While a tracklisting has yet to be unveiled, the remaining songs all bear the name of "actual vacant cities." "I was interested in finding a metaphor for the inner tension I feel when I'm composing music, a state of mind where I'm lonely and happy at the same time," Hauschka said in a statement. "When I saw photos of abandoned cities, I felt it was perfect. People once lived there, but they left in a rush and now nature has taken over in a beautiful way, things are growing up from the sidewalk and the seasons are changing colours." The composer added that the LP is "dark, but in a quiet, uplifting way." Up until the album arrives in full, you can listen to the first sneak preview, the previously mentioned moody piano piece "Elizabeth Bay." You'll find the track in the YouTube player down below. While Hauschka has issued the Silfra collaborative LP with violinist Hilary Hahn in 2012, this is the pianist's first proper solo venture since 2011's Salon des Amateurs.